Coconut oil consists of known antifungal and antibacterial agents, which make it ideal for your skin and cooking. 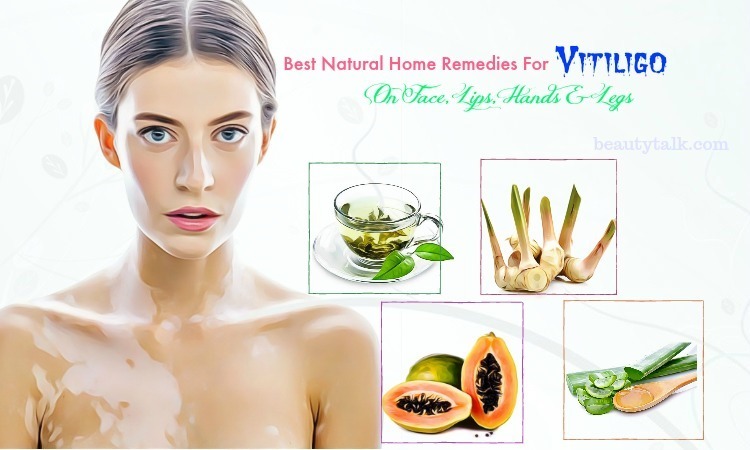 It is widely used in skin lotions, soaps, and creams and helps to calm different other types of skin conditions. More importantly, this oil is famous for its moisturizing benefits, so it can deal with flaky, dry sin while giving soft, glowing skin. 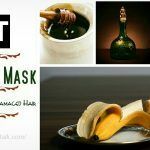 You can also use this oil in face masks to supply more moisture to the skin. 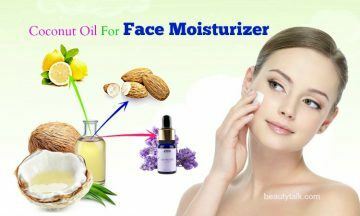 In this article, you will discover the best ways to use coconut oil for face moisturizer recipes. Coconut oil is also called copra oil. It’s an edible oil obtained from the kernel of mature coconuts harvested from the tree of coconut. Virgin coconut oil or pure coconut oil consists of around 92 % of saturated fat. Myristic and lauric acids are the two main fatty acids present in coconut oil (16.8 % of myristic acid and 44 % of lauric acid). Extra-virgin coconut oil is obtained from fresh matured coconuts. According to USDA National Nutrient Database, a tablespoon of coconut oil consist of 0 grams of protein, 0 grams of carbohydrate, 117 calories, and 13.6 grams of fat (0.8 monounsaturated, 11.8 saturated, and 0.2 polyunsaturated). Besides, it contains MCT (medium chain triglycerides), lauric acid, which is loaded with antioxidants. 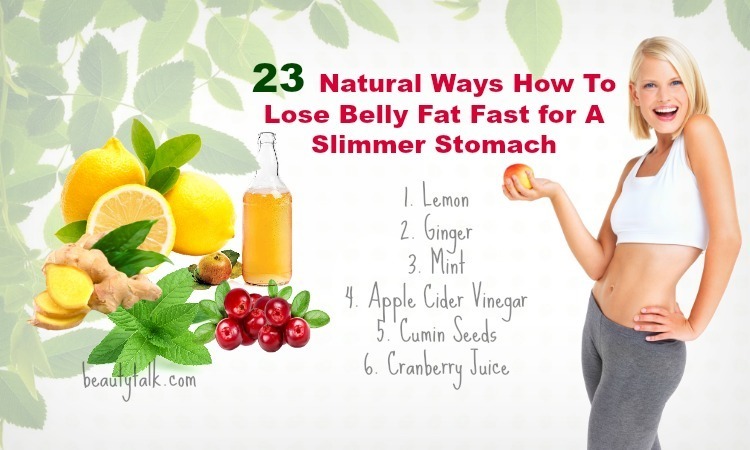 It helps your body absorb other minerals and nutrients. Also, the presence of MCTs makes coconut oil resistant to high heat and the oil does not break down and doesn’t release toxins when used for frying and cooking. Vitamin E: Vitamin E is beneficial for skin care. It’s necessary for healthy skin, keeping your skin smooth and guarding it against cracking. 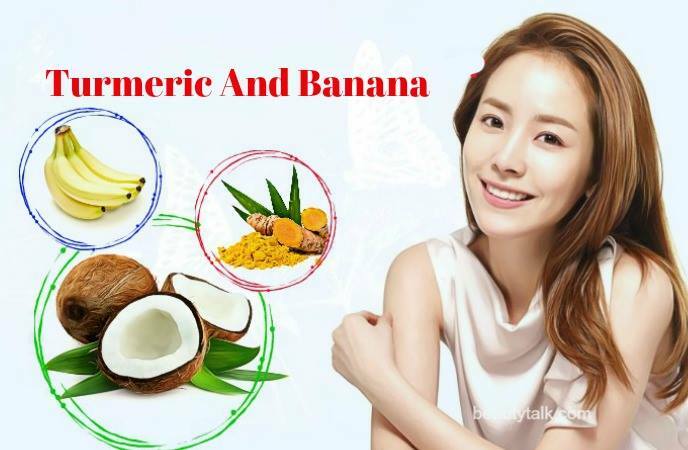 It is rich in antioxidant properties that are helpful for preventing premature aging together with wrinkling of the skin. This vitamin also helps to sooth eczema, psoriasis, and sunburn. Saturated Fats: These saturated fats are triglycerides or medium chain fatty acids. They keep the skin smooth to the touch when applied to it. This oil is also useful for retaining the moisture content of your skin because the fats in it aid in eliminating moisture loss through the skin’s pores. When ingested frequently, the fats deposit under your skin, thereby keeping it smooth and healthy and decreasing the appearance of the pores. Proteins: Coconut oil is full of proteins, which keep the skin rejuvenated and healthy, both externally and internally. Also, proteins contribute to the tissue repair and cellular health. Moisturizing, Antiviral, And Anti-aging Properties: Coconut oil is an ideal moisturizer, which helps to restore flaking or dry skin. It additionally aids in eliminating dead skin cells and strengthening skin tissues while absorbing fast into your skin. It can slow down the occurrence of wrinkles since it has antioxidant vitamin E. Its antifungal and antiviral qualities even help to deal with bug bites. Moisturize The Skin: Coconut oil is a great natural available moisturizer thanks to its fatty acids. The acids mix with water on your skin’s surface to create a protective layer that can keep foreign matter such as dirt and dust from irritating your skin. This oil can also lock moisture into the skin. Clean Your Skin: Coconut oil helps to deep clean your skin by softening and opening the pores. Plus, it penetrates deep into the skin, where it helps to dissolve hardened oil & sebum. Remove Oil & Grease: Coconut oil is an ideal makeup remover since it helps to cut grease effectively. Guard Your Skin Against Bacteria: Coconut oil is chock-full of lauric acid that functions as an antibacterial property. Thus, it can combat bacterial efficiently that in turn reduces clogged pores and acne breakouts. Give Your Skin Protection From Fungus: Coconut oil possesses antifungal properties that work wonders in killing fungi such as ringworm and yeast. Help Repair Collagen: As we know, collagen plays a vital role in preventing the formation of wrinkles, as it gives support to the top layer of the skin. 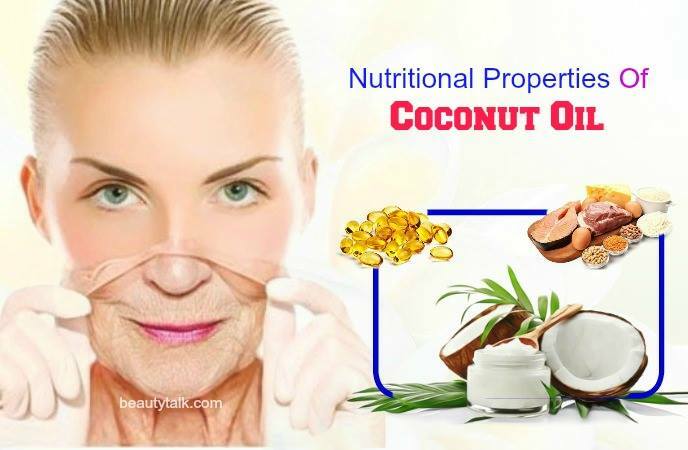 Coconut oil exhibits the fat molecules that are helpful in attracting protein molecules, repairing damaged collagen, and normalizing production. 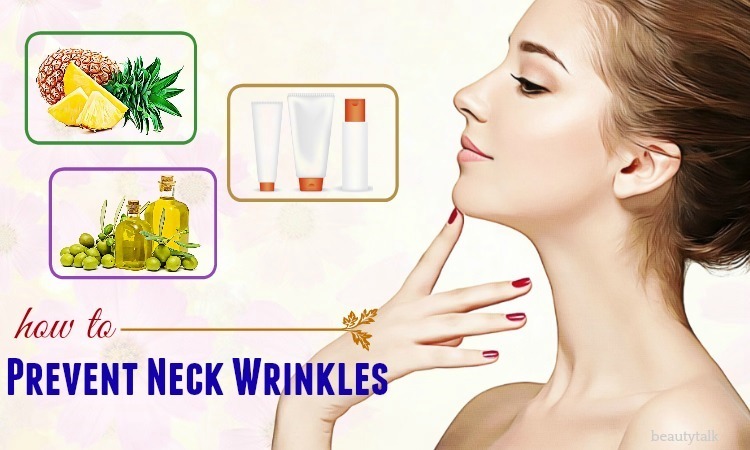 Prevent The Aging Signs: The aging signs such as discoloration, fine lines, crow’s feet and necklines usually appear first on your face, chest, and neck. When applied regularly, the moisturizing, reparative, and cleansing effects of coconut oil can fight against these signs of aging. Anti-Wrinkle Effect: Coconut oil is collagen which helps to preserve the smoothness and elasticity of the skin. It possesses the triglycerides that assist in restoring the damaged skin collagen, thus reducing facial wrinkles. 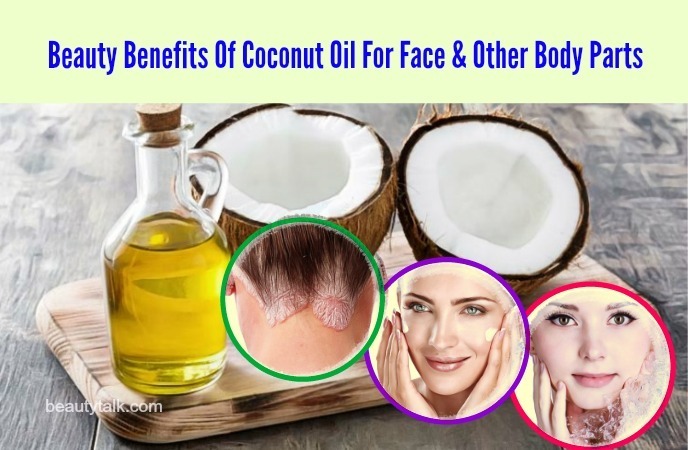 Coconut oil is a great and natural moisturizer that is beneficial for keeping your skin hydrated and protecting from the changing weather and pollution. Scoop the coconut oil into a mixing bowl and break it up into chunks. Turn the hand or stand mixer on high afterward and start whipping the coconut oil until it’s soft and fluffy. Scoop out this coconut oil moisturizer into a storage container and use it as needed. Lavender oil is a great moisturizer for chapped and dry skin. It possesses anti-inflammatory and antiseptic agents, which can battle the bacteria causing inflammation and acne. It further offers moisture to the region around eyes that eliminates the wrinkles related to dryness. Plus, it helps to decongest the irritated parts on your skin by adding moisture, thus accelerating the healing process. Place all the above elements into a mixing bowl and blend them with a hand mixer until it’s whipped to a fluffy & light consistency. Place in a glass jar with lid afterward and apply to your face once or twice per day. Dandelions are nutritious and edible and have powerful healing agents for the skin as well. Dandelion is effective for treating rough, chapped skin, treating acne, and healing burns. It is filled with vitamin C, a powerful antioxidant, which make it a fantastic topical treatment for fighting the aging signs and free radicals. In addition to this, it is abundant in potassium, calcium, phosphorus, and magnesium, all of which are helpful for hydrating the tissues and supporting the functions of the skin. Combine this herb with the many skin advantage of coconut oil; you will obtain a super moisturizer that is perfect for all types of skin. Firstly, infuse the prepared coconut oil with the dried dandelion flowers. Next, put it into a canning jar and add this jar to a small saucepan. Then, fill the saucepan with sufficient water and set it on low heat until the oil is melted. Turn off the heat after two hours and allow the jar to cool down enough to handle. After that, take the dandelion flowers out of the oil. If desired, add the lavender oil to it and place the resultant infused coconut oil into a refrigerator until firm. Whip this firm infused coconut oil with a hand mixer until it resembles frosting or whipped butter. Put it into a glass jar or tin container and store it in a fridge. Use it as needed. Almond is a lightweight oil that will not clog pores making it an ideal facial moisturizer. It seeps into the skin, thus reducing irritation from psoriasis, itchy skin, and mild eczema. Also, it is a powerful antioxidant that aids in repairing sun damage on the face. Along with that, the monounsaturated fats housed in this oil can keep cell membranes healthy, decreasing the appearance of aging. Grape seed oil in this recipe contains antioxidants called procyanidolic oligomers, which help to slow down the aging process, reduce inflammation, and clear up acne. Moreover, it is also helpful in preventing the clogged pores and the formation of breakouts. In a bowl, mix all the above components at first and later whisk until creamy & fluffy. Place into a container and keep this mixture at room temperature to inhibit melting or hardening. Lemon is abundant in citric acid that is beneficial for dissolving the dead skin cells and smoothening the rough texture of dry skin. It is also useful for moisturizing and rejuvenating dry skin due to its potassium. More importantly, it is a powerful source of vitamin C that enhances the production of collagen in the skin and decreases the appearance of fine lines and wrinkles associated with dry skin. You need to soften coconut oil if it isn’t at room temperature. Add the freshly squeezed lemon juice and essential oil to it. Then, transfer this mixture to one small container with a lid. Apply it to the needed areas. The consistency and semisolid characteristics of Shea butter can help the skin to absorb it once it melts at room temperature. The presence of rich tree nut oils in it soaks into the skin, forming a soft and smooth barrier that locks in moisture. It is also rich in vitamin E, which works wonders in guarding the skin against the sun’s UV rays. Add all the above components to a large glass bowl. Bring the water to a simmer in a saucepan. Add the glass bowl above when water is simmering and don’t let the water get into the bowl. Then, let the oils and butter melt, often stirring to combine. When the mixture is melted and combined, take the glass bowl out of the water and afterward, pour the resultant mixture into a glass jar. Leave the mixture to cool. Once it has cooled, place in a refrigerator until it solidifies totally. Remove and store it at room temperature. Finally, apply a pea-sized quantity of moisturizer to your clean face. Aloe vera gel is soothing for your skin and keeps it firm and hydrated. 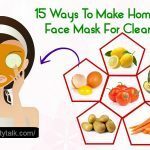 It is also packed with minerals, vitamins, and the antioxidant vitamin E, which work together to rejuvenate your skin and induce cell regeneration. 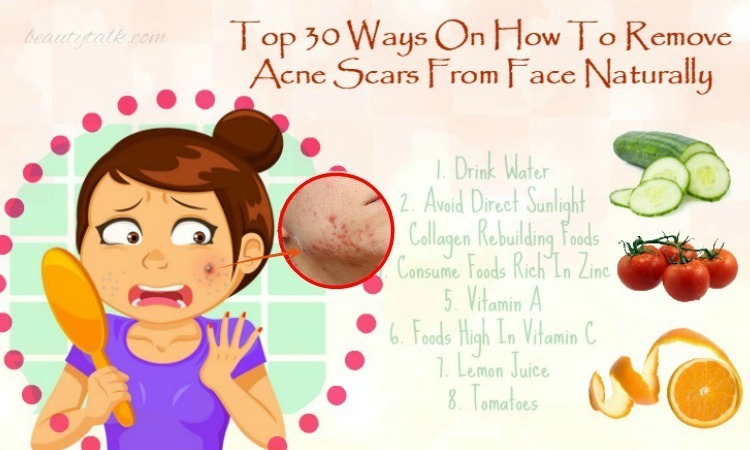 Moreover, it helps to heal sunburned skin and fade skin spots. Add the aloe vera gel in a bowl and add in the melted coconut oil, lavender oil, and vitamin E oil. Then, mix or blend and store the resultant mixture in a jar. Finally, use it on a damp face and body after a bath. If you use commercial aloe vera gel, this moisturizer will last for around one month in a dry and cool place. If you use fresh aloe vera, it will last 3-4 days in a refrigerator. Green tea is excellent for battling free radicals since it is loaded with antioxidants, catechins, and polyphenols. The free radicals can make healthy skin cells lifeless that in turn cause wrinkles, fine lines, and even cellulite. Apart from that, thanks to its powerful anti-inflammatory, green tea is effective in fighting off puffy skin and soothe inflammation skin conditions such as psoriasis, eczema, etc. Tea tree oil is well known for its antiseptic properties that can ward off allergies, acne, and other skin issues. The presence of astringent properties in this oil assists in tightening and toning the skin. This recipe is a powerful moisturizer for your face and body. Place the liquid coconut oil into one stainless steel pan and turn on the burner. Place this pan over a low flame an after one minute, cut the green tea and then pour its contents into the oil. Afterward, turn off the burner and leave the green tea coconut oil infusion to steep for around 20 minutes. Let it cool down entirely and strain the moisturizer into a glass jar. Add the tea tree oil to it and gently swirl the jar to mix. Store this product in a cool & dark place. To use it as a facial moisturizer, just massage two drops on your clean face. Olive oil functions as a natural moisturizer since it comprises essential fatty acids. Plus, it maintains the elasticity of the skin and keeps it supple, smooth, and glowing. It is also excellent for keeping the skin hydrated and preventing it from getting dry while making lustrous and supple at the same time. Avocado contains the healthy fats that are great for moisturizing the skin. This fruit can battle free radicals that damage your skin since it contains antioxidants such as vitamins C and E. It also nourishes the skin well to inhibit wrinkles triggered by dryness. Nutmeg comes with anti-inflammatory properties that are beneficial in removing acne and pimples. 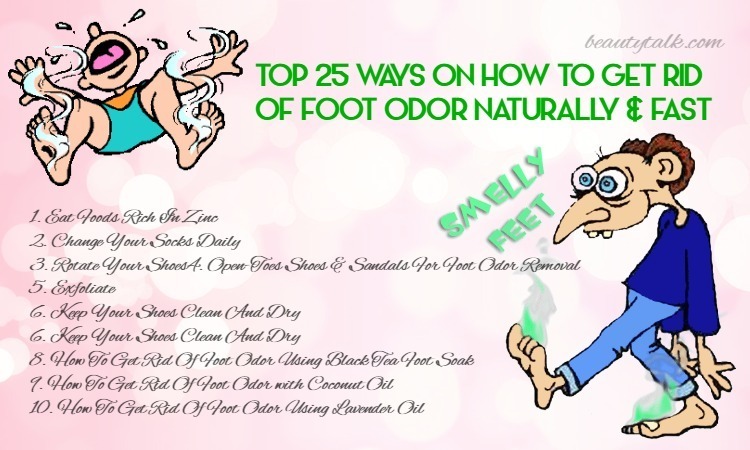 It also helps to eliminate any kind of infections. Mash the avocado in a bowl to create a smooth paste and add the nutmeg and coconut oil to the bowl. Then, put this mask on your clean face with the help of clean fingers and let it sit for fifteen minutes. Afterward, use a warm washcloth or cool water to rinse it off and dry your face by using a clean towel. This face mask is excellent for moisturizing the skin and inhibiting future breakouts. Honey deeply cleanses the skin owing to its antibacterial properties. It also exhibits antioxidants and a humectant, which may be helpful for improving moisture levels of your skin. 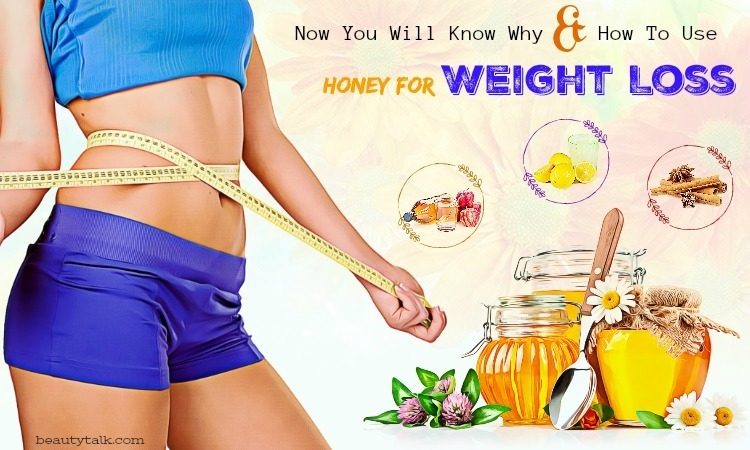 Honey, additionally makes your skin hydrated and smooth, decreasing fine lines and wrinkles. Lemon juice contains the cleansing properties that make it an excellent beauty product. It aids in hydrating and moisturizing the skin owing to its potassium. The lutein in this fruit helps to promote skin elasticity. Last but not least, it can combat free radicals contributing to premature aging. Just combine all the above ingredients well in a small bowl. Apply this mask to your clean face and leave it to stay for roughly ten minutes. Use enough cool water to rinse it off and use a towel to pat your face dry. Bananas are flooded with vitamin B that can delay aging, minimize dryness, and moisturize the skin. Vitamin E in it works as a protector that fights against free radical impairment, enhances the sun-rays resistance of the skin, and banishes the appearance of wrinkles. Moreover, due to its potassium, this fruit can remove the dry skin problem by moisturizing and hydrating the skin cells. Turmeric is well known for its curcumin that consists of strong anti-inflammatory qualities and helps to reduce the effects of aging. Mash the banana in a bowl at first and later add the coconut oil and turmeric. Then, stir to combine and apply the mixture to your face by using clean fingers. Rinse the mask off with cool water after fifteen minutes and finally, pat your face dry using a towel. Before using coconut oil, consider your skin type. While this oil can be an ideal moisturizer for some individuals, it can’t be the best options for others. It may be suitable for normal or dry skin types. Use this oil sparingly or select another natural treatment such as aloe vera gel or tea tree oil if you have acne-prone or oily skin. Search for extra virgin, organic coconut oil because it contains no genetically modified organisms (GMOs). Plus, extra virgin coconut oil doesn’t consist of any preservative or additive that could irritate the skin. You can buy extra virgin coconut oil online or at a local health food store. Ensure coconut oil is unprocessed and unrefined. Check the label on it to make sure it hasn’t been hydrogenated, bleached, deodorized, or refined. Get this oil in solid form. It’s usually sold in a solid state in glass bottles. It may appear white and thick in the bottle. Ensure you store this oil in a dark, cool place in your home. If you have breakouts, stop using coconut oil. If you see any acne, pimple or bumps appears on the skin after using this oil, stop applying it. Consult a dermatologist for advice on moisturizers, which are suitable for your skin type. 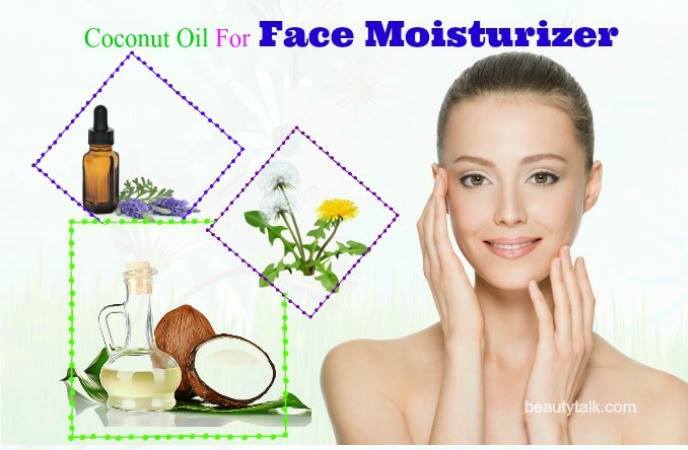 Now you already knew the easy ways to use coconut oil for face moisturizer recipes and its benefits for skin health. Add this wonderful oil to your skin care routine right now. 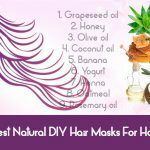 If you want to know more other recipes for beauty care, then visit our main DIY Beauty page. Also, feel free to leave your queries or questions in the box below. All of the contents provided in this article are for informational & educational purposes. We recommend you consult a healthcare professional to determine which method is appropriate for you.